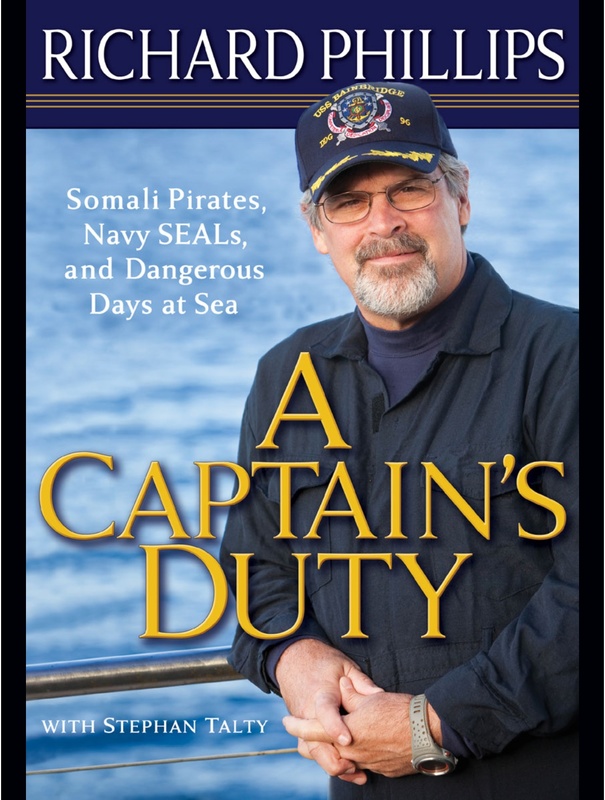 Book Review on A Captain’s Duty by Capt Richard Phillips and commentary on the aftermath – Howard Boat Works, Inc. This is an engrossing read on several levels. First, it’s a great look behind the scenes into the lives of our Merchant Mariners, the largely unknown prime movers of global commerce. Second, it’s an instructional study of leadership. A ship’s Master, a well coined term if there ever was one, is solely in charge at sea, a stark departure from land-borne businesses where it can be hard to find who is really in charge. Third, the book allows us to peek in to the ruthless world of piracy. And finally, the book is testament to the strength of the human spirit. It’s as much a personal memoir for Capt Phillips as a story of what unfolded aboard the Maersk Alabama in April 2009. I enjoyed reading about Capt Phillip’s upbringing since we grew up not far apart in the greater Boston area, and his stories about the Massachusetts Maritime Academy reminded me of a few days I’d just as soon forget at the Virginia Military Institute. On another personal level his descriptions of rural Vermont, and the protracted times spent away from there reminded me of being away from my parents home in rural New Hampshire during numerous deployments. The hijacking of his ship by Somali pirates is vividly related as is the harrowing time he spent in captivity aboard a lifeboat at the hands of his captors. Thanks to the US Navy, special forces and host of others, Capt Phillips was rescued and the entire crew of Maersk Alabama made it home safely. Knowing he was rescued before reading the book does not diminish the page-turning sense of urgency of his ordeal. This event was eventually dramatized by the movie “Capt Phillips”, released in Oct 2013 in which Tom Hanks plays the lead role. After reading the book I dug into the piracy problem a little deeper and also became aware of the lawsuit(s) filed by former Maersk Alabama crew members, one of which seeks nearly $50 million in damages from Norfolk-based Maersk Line Ltd., the owner of the ship, and Alabama-based Waterman Steamship Corp., which operated and crewed it under a charter. As reported by the Virginian-Pilot on May 26, 2012, the lawsuit in part states “Maersk Line and Waterman Steamship Corp. received notice and warning to sail at least 600 miles off the coast of Somalia because pirates were active in the region” and “Captain Phillips and Maersk put the men in harm’s way, in spite of warnings to keep them out of the pirate-infested waters,” and “In spite of the warnings, the two companies, through their officers, employees, and/or agents, decided to bring the Maersk Alabama within about 250 miles of the coast, primarily for financial gain”. Mombasa Kenya is only a couple hundred miles south of the Somalia coast. 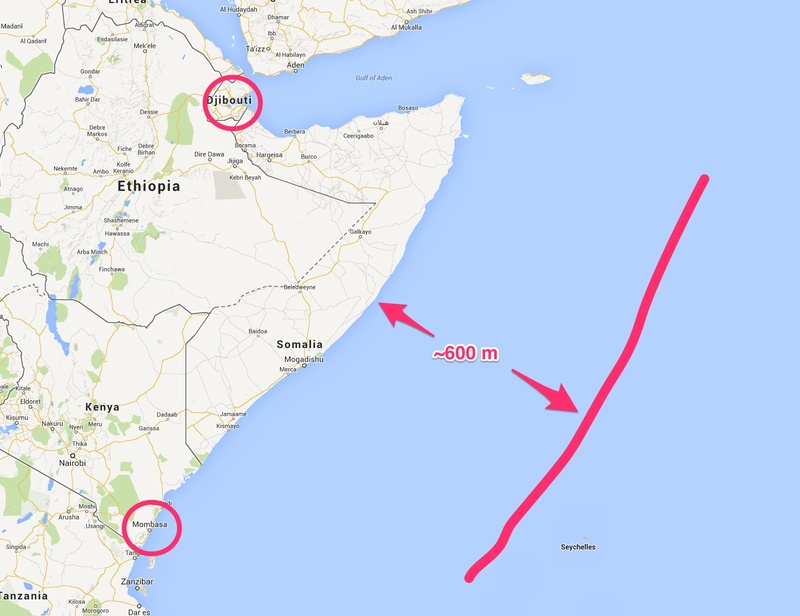 It would have been physically impossible for Maersk Alabama to stay “600 miles off” the Somalia coast and conduct her port call in Mombasa. Even if she had, it wouldn’t have assured her freedom from the piracy threat because attacks in 2009, according to the International Maritime Organization (IMO) “REPORTS ON ACTS OF PIRACY AND ARMED ROBBERY AGAINST SHIPS Annual Report – 2009” included incidents in wide swaths of the Indian Ocean. As to the effectiveness of Capt Phillip’s actions leading up to his vessel’s boarding by armed men, there has been a great deal of Monday morning quarterbacking. His critics argue his actions to prevent the boarding were ineffectual as was his conduct and leadership subsequent to the ship being taken. However, the facts are pretty clear. The pirates opened fire on the ship with automatic gunfire before boarding. The ship’s crew had no effective means to prevent them from boarding, nor did they possess weapons suitable to the task of defense once the pirates were aboard. In effect, they were armed with a knife in a gunfight. Capt Phillip’s actions and the actions of his crew resulted in the pirates disembarking the vessel aboard a lifeboat. The ship, its cargo, and its crew, save the Captain, were intact. Given the end result of the Captain’s rescue, it’s tough to imagine a better outcome from a dire situation. The Virginian-Pilot piece also reported that “Capt. Larry D. Aasheim of Virginia Beach had been the skipper of the Maersk Alabama until nine days before the hijacking, when he turned over command of the ship to Phillips. Aasheim wrote that he could “easily state what I would, or could have done” if he had been on the ship at the time of the hijacking, “but the events leading to the piracy and the harrowing feeling of being captured is unimaginable to me and I would not trade places with Captain Richard Phillips.” Well said. Next Post Next post: Radio controlled foghorns; almost as cool as pilot controlled lighting!